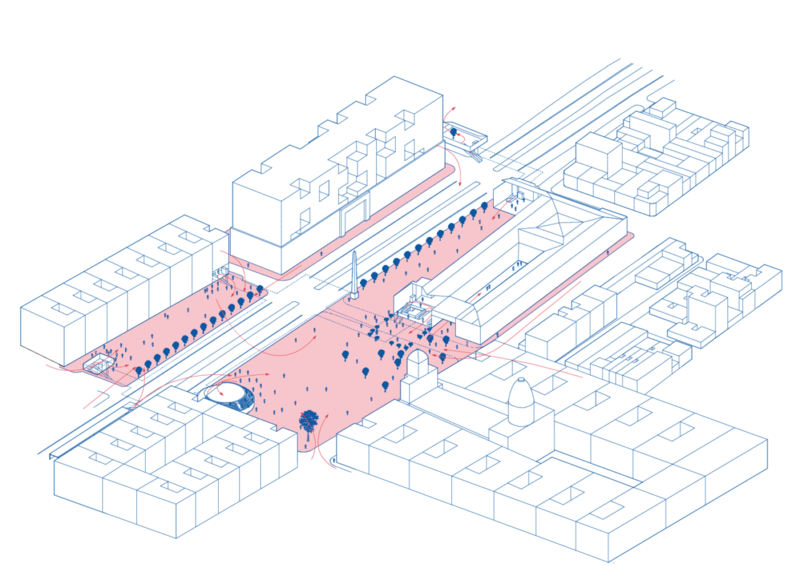 The research explores new building typologies for reclaiming the public spaces and urban landscapes in the area of Plaza de Los Mártires along a newly planned metro line in the city of Bogotá. 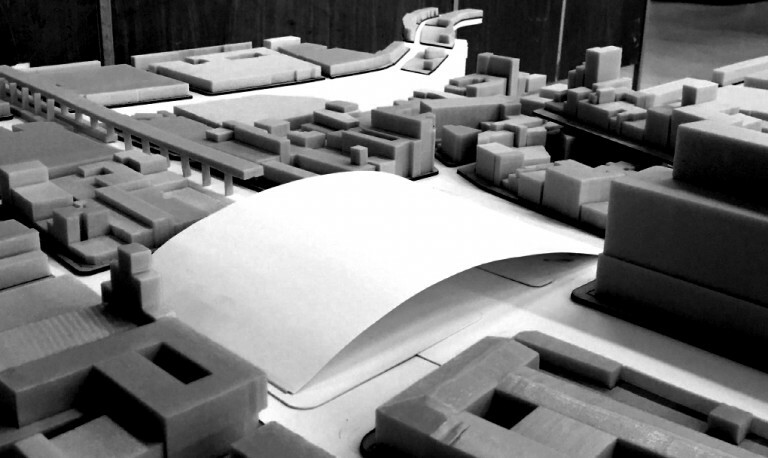 Urban Prototypes show alternative architectural projects for the Colombian capital of Bogotá. Replicable typologies, integrated infrastructure, and innovative urban scenarios are generated that challenge conventional approaches to urban development, mobility, and open space. Bogotá is an emerging city that faces many of the same problems that come with the pressures of the global urbanization process in the 21st century. 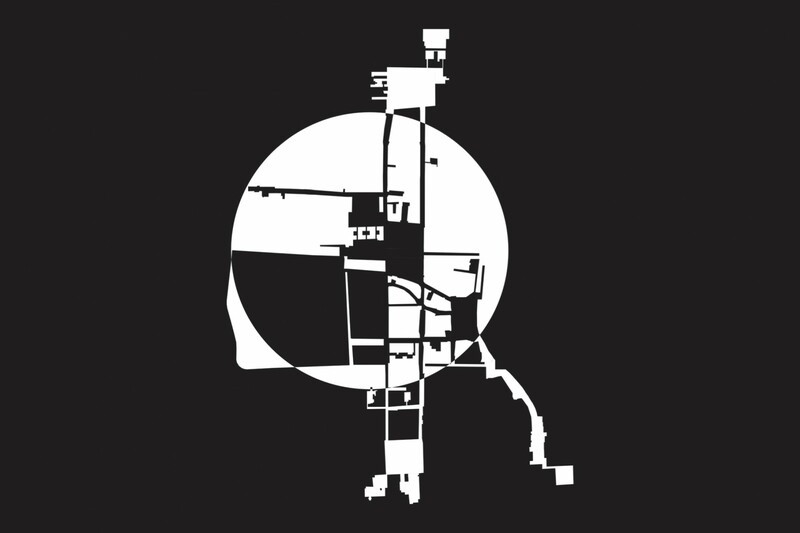 A post-conflict city in transition, one that is seeking a new identity in the midst of a peace process, is apt for a reformulation of its fragmented urban fabric in the central city. In this context, the research is seeking advanced opportunities to create an inclusive urban vision for the next metropolis. 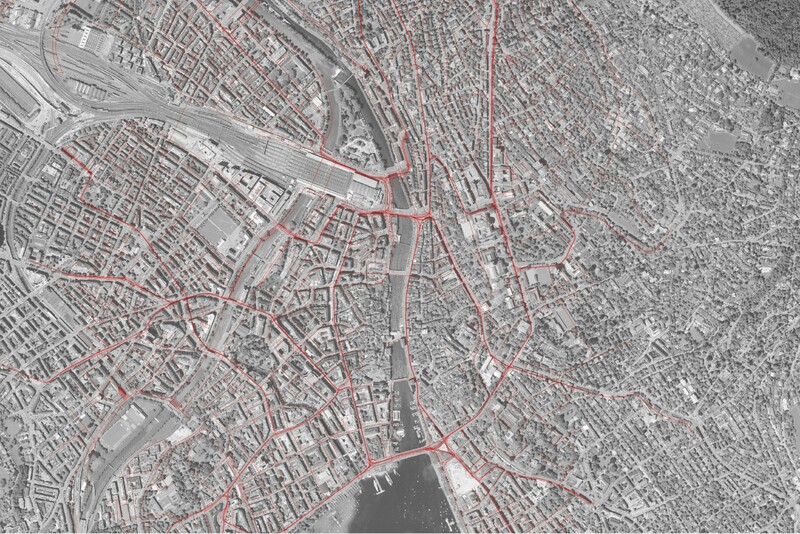 Selected squares in Zurich are analyzed based on a series of physical and programmatic transformations that have taken place to become modern day fabric of the city. 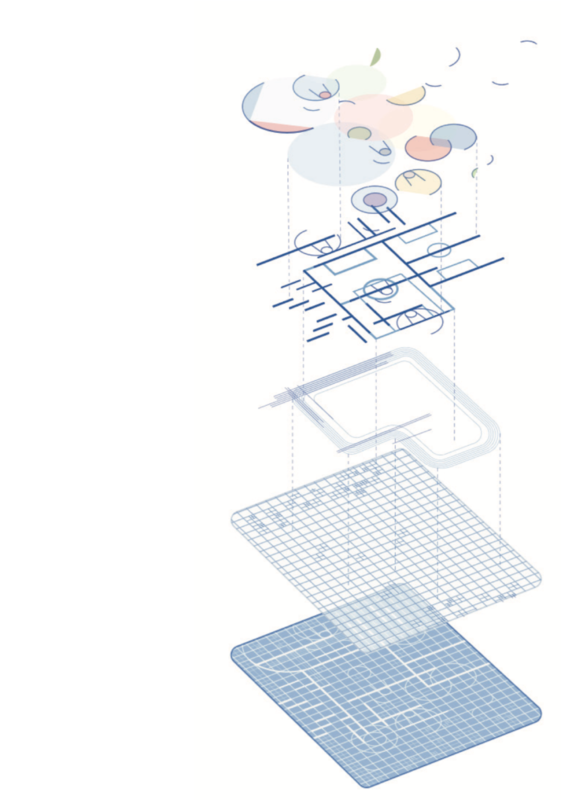 Significant ‘catalyst’ projects – buildings, spaces, and infrastructures - that have brought about change in the area, either through the creation, destruction, renovation, or addition of the particular projects are shown in a series of drawings. This comparative set of data is building an overall comprehensive catalog of public space transformation tools. 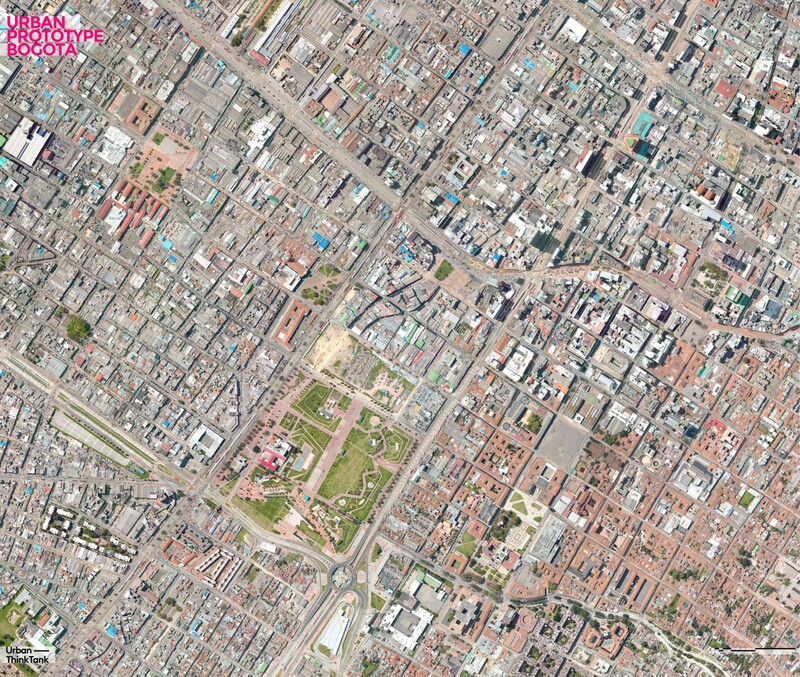 Cities are founded on squares, cities are developing around squares. 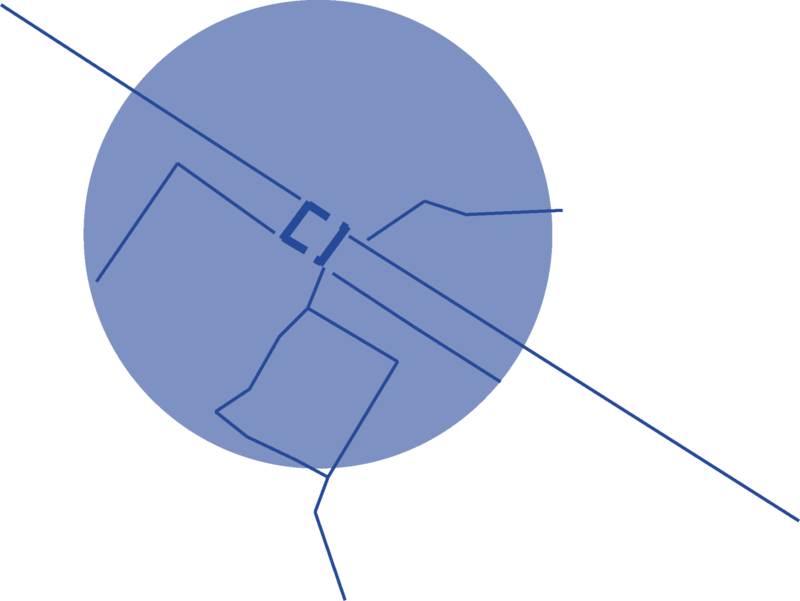 To connect squares, to make them become one large system of squares, allows the city to develop in a bigger scale, having the lifeline of the connecting square close. So what if we physically connect different plazas, public spaces within very diverse urban contexts to create one big system? What is necessary to create the perception of a unity? The goal of the project is to bring people from very close but still extremely segregated areas together, with the means of the public space. Modern cities are a symbol of multi-functionality. For instance, Zürich and Strasbourg are using their Tram not only for people but also for transporting Cargo and recycling materials. In the near future, Bogota will have its own Metro system. Would it not be great to use this technology in a multifunctional way? To stop mini-trucks from entering the city centre loaded with only small packages which could be easily transported via metro. To give farmers a new way of selling their wares with a more efficient transport system? To make the metro an alternative pathway to nature and enhance the living quality? A living artery through the city. Empty squares might seem to be a big problem for city planners, but in fact, if they are properly planned and used, this challenge can be turned into an opportunity. A good example is Sechseläutenplatz in Zurich where there are only several dozens of chairs which can be arranged in any way by anyone. The same strategy implemented on Plaza de los Martires could provide various programs for different times of a day and week and so sport events, markets, concerts or celebrations can take place on the same square. Additionally metro station with an integrated seating makes it a more attractive place to stay for a longer time. Plazoleta de Los Martires is seperated through an important city traffic street - Carrera 14. An elevated metro line is beeing planed in this street, creating a refusal into the Bogotanos mind which do perceive this metroline as an even bigger barrier into the city. I do believe reading the square as a three dimensional space more than a planar one, aswell as reading the square as the station and the station as the square would give the opportunity to make out of this square a meeting space, a bridge, a roof and an identity for the people of Bogota. Imagine a city where the whole Subway system is a cultural centre. Each stop of the subway line is a museum, squares are turned into public flexible spaces that allow performances to be shown, a few historical building are turned into art factories. This big system works as a big, creative ensemble. Let’s now focus on Plaza de Los Martires in Bogota, which is gonna be our study case; The old military building will get renovated and opened on the side of the square, the square will be digged and welcome an underground metro, where the exhibition spaces are gonna be placed. 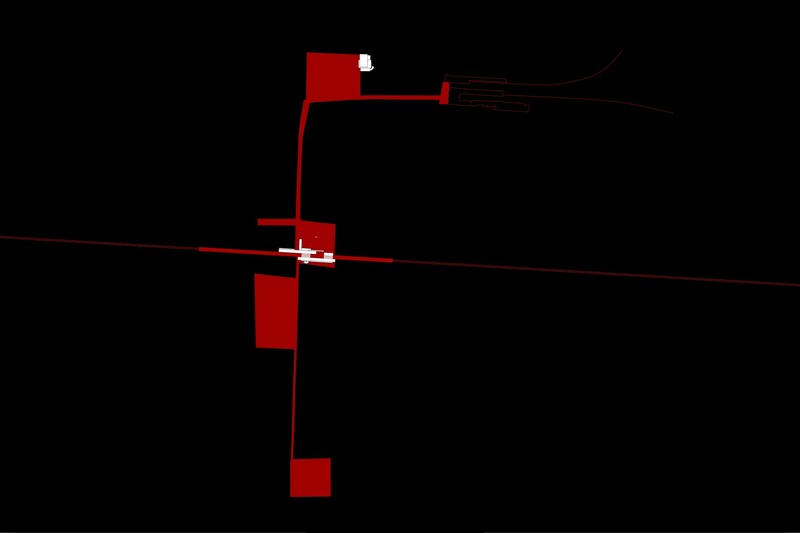 Prototyping along the metro line would mean to give to every station the same urban quality. The public space can be seen as a negative space. Its role is to join the positive pieces together which are composed of mixed-use programs, such as social housing, market, formation center, schools, workshops, shops, … It will permits a densification of the area that has a constant growing process. For the activation of the plazoleta los Mártires is has been found essential to re-appropriate its surroundings and to break the colonial rigid grid. The city should now be observed as perpendicular strips. As many European plaza where done by a generous cut-out of the existing buildings, this project thinks of the opposite way of history. To create a centrality for all kind of social layer, we enclose the existing space to a cleaned up plaza. By addition and subtraction we generate a defining volume, which allows reacting to the different context. By addition of plugins on the outside of the ring the city can grow time by time to a denser city. To improve the city in bigger scale, we bring in a green avenue, which is connecting the plazas and parks along the metro. Crisis conditions demand new models for imagining, testing, financing, and implementing urban projects. by employing micro-tactics, working with communities, and trialing specific solutions in order to arrive at more generally applicable proposals ready to deploy on a larger scale. Research Partners: Secretaría Distrital de Planeación (City of Bogotá), Universidad de los Andes.